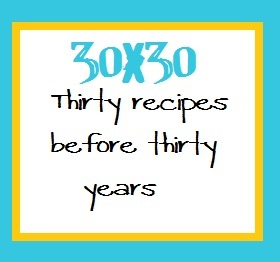 It's another 30x30 post today! I listed the rather vague “Fancy Easter Eggs” as one of my recipes. 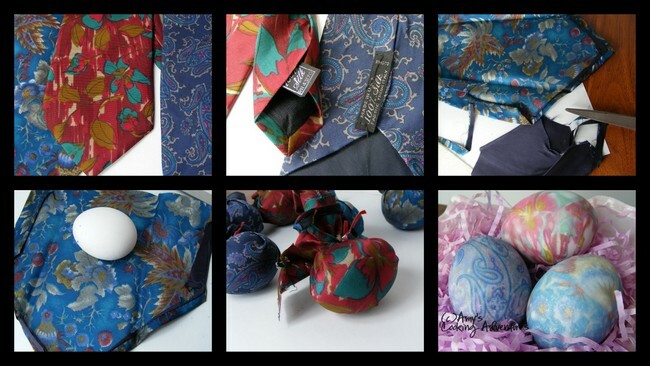 So today I tie-dyed Easter Eggs using old men’s neckties from the thrift store. Start by deconstructing the ties. Take them apart; discarding any lining. Cut the ties into large strips, making sure that each piece can wrap around an egg with enough fabric left to twist and close with twist ties. Be sure the right side (front) of the fabric is touching the egg. Also be sure to wrap the egg tightly. Cut up that old ratty dishcloth that your husband has been telling you to throw out. Wrap the eggs again, over top the necktie wrapping, to seal in the color. Close with a second twist tie. Place the doubly wrapped eggs into a pot filled with enough cold water to cover the eggs. Add the vinegar and bring the pot to a boil over medium-high heat. Boil for 20 minutes, then drain. Once the eggs are cool enough to handle, unwrap them and see the magnificent designs! These eggs are absolutely beautiful, but a bit wasteful. Since these are dyed with fabric dyes, they aren’t edible. And since they’re eggs, they don’t last long, especially when a certain 4 year old announces “Mommy, I cracked the eggs for you!” mere minutes after the photo shoot. They were still warm…sigh. 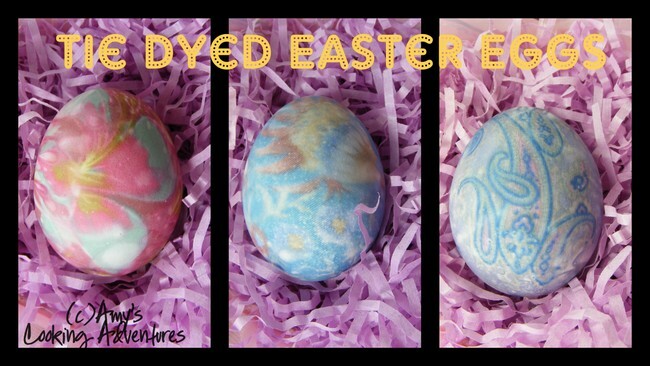 Be sure to check out Our Best Bites for a great How-To Tutorial on Tie Dyed Easter Eggs! Amy, the eggs are beautiful! May I pin one of these pictures? Awesome! I love that paisley one :) I had no idea this was such an easy process - thanks for sharing! I've never seen anything like this before.....so awesome!!! These are absolutely beautiful and so creative. I love it.